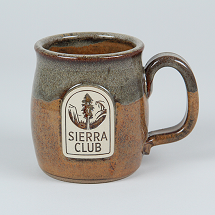 Sierra Club Mugs from Sunset Hill. 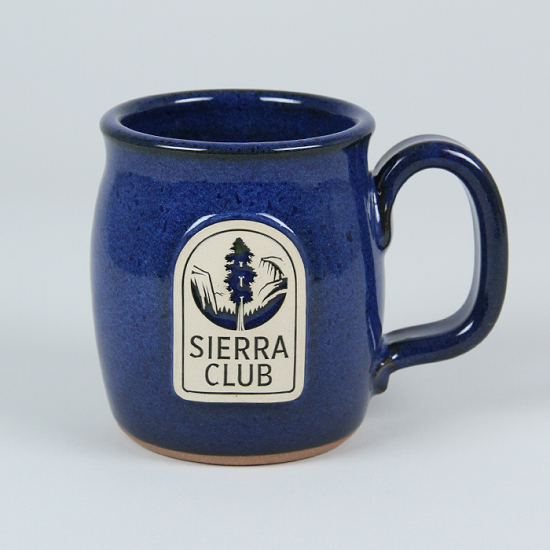 These beautiful stoneware mugs are handcrafted in Wisconsin in an environmentally-friendly facility. 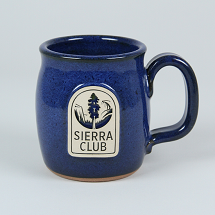 The Sierra Club logo is featured engraved on a medallion and the mugs come in two vibrant glazes. Choose between an electric blue or sandstorm glaze. 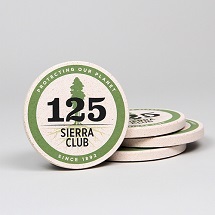 Holds 16 fluid ounces and stands 4-3/4" tall.